Dental appliances are devices used by your dentist to help treat your dental problems. Ranging from braces and retainers to dental crowns and fillings, a dental appliance is any device that helps maintain your dental health, either long-term or short-term. Dental appliances can range from permanent fixtures to prosthetic or removable fixtures meant to help support, move, or even replace your teeth. These allow your teeth to work at full capacity while still remaining healthy, no matter the situation. Permanent dental appliances include things like braces and fixed retainers, as well as dental implants, fillings, bridges, and dental crowns. These can either correct or strengthen areas of your teeth, and are not removed on a regular basis. These appliances allow your dentist to help maintain your dental health 24/7, and can repair damages or to help readjust the positioning of your teeth. While most people do not wear braces for a majority of their lives, since they cannot be removed safely without the help of a professional, these are considered permanent dental appliances. Dental appliances can help ensure that your oral health is at peak performance, and are more discrete than other dental fixtures. Things like veneers, fillings, and crowns can all be crafted to match your surrounding teeth and act similarly to your natural teeth. While permanent dental appliances can sometimes cost more than removable dental appliances, they are long lasting and can help maintain your oral health for years to come. Removable dental appliances include things like removable retainers, mouthguards, glides, and dentures. These dental appliances are useful for situations where your teeth need some extra support without the added bulk of a permanent fixture. 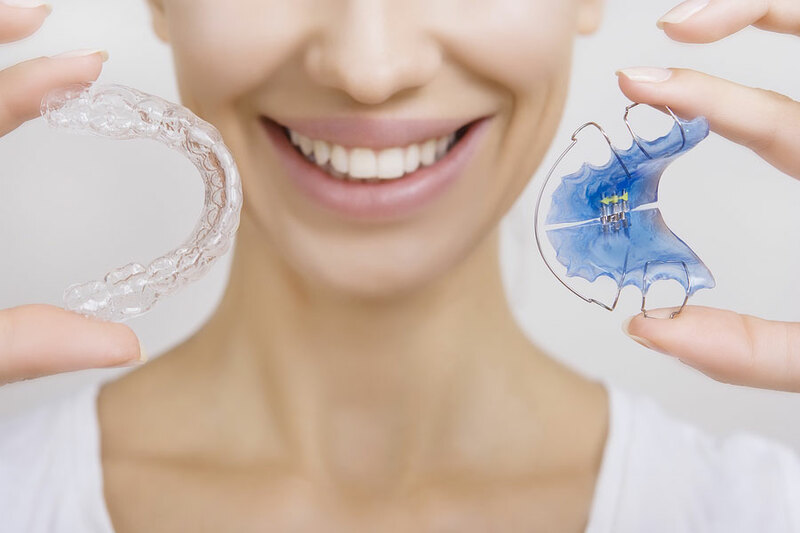 Not only are removable retainers and mouthguards made to be lightweight, they can also help protect and correct your teeth. The bonus to removable dental appliances is that they can be removed without a visit to the dentist’s office, making them easier to clean and care for than some permanent fixtures. They also tend to be cheaper and can be used for situational events, such as sporting mouth guards or sleep apnea and bruxism guards. Your dentist will create a removable dental appliance so that it is tailor-fitted for your unique oral health needs. This allows them to treat your oral health as a whole and can act as an easy to maintain solution for short-term issues. Permanent and removable dental appliances are just one of the many tools that your dentist uses to help care for your oral health. Here at Crossland Dental Associates in Mt. Pleasant, SC, we make sure that our patients have the best dental care available. By working with our patients to help decide the best dental treatment plans for their needs, we can help them achieve the smile of their dreams in no time. If you have any questions or are looking to make an appointment, give our office a call.